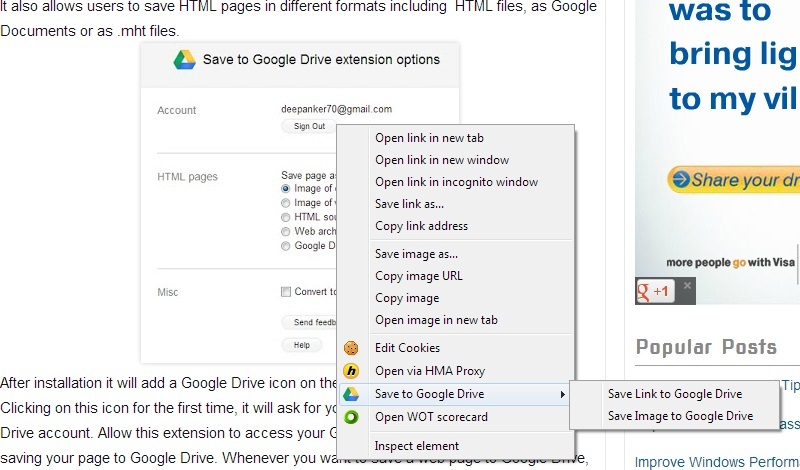 Now saving a web page to Google Drive is easier with official Google Extension. Google Docs team has released a new Chrome extension that will help users to save full web page to Google Drive in single click. 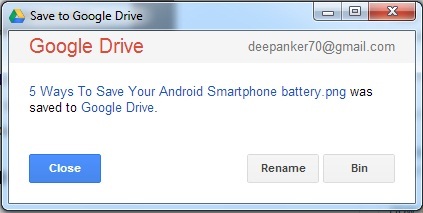 This extension is called “Save to Google Drive” and is available to download from Google Chrome App store. It also allows users to save HTML pages in different formats including HTML files, as Google Documents or as .mht files. After installation it will add a Google Drive icon on the omni bar of the chrome browser. Clicking on this icon for the first time, it will ask for your permission to access your Google Drive account. Allow this extension to access your Google Account. After this it will start saving your page to Google Drive. Whenever you want to save a web page to Google Drive, just click on the icon and save. When you will save web page to Google Drive with this extension, It will also show a progress bar of uploading. After uploading the content to Google Drive, it will also allow user to open or rename file. 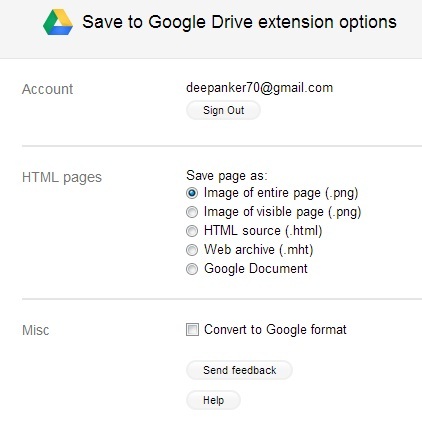 If you want to save an image or video to Google Drive, simply right click on it and then select ‘Save to Google Drive’. You can either save the entire image or video or just link of that media file. All files are stored in the root folder of your Google Drive account and there is no option to change the default save location for saved files. You can also use this extension to capture full page snapshot that will be stored in your Google Drive account automatically. There is one limitation of this extension that it can not send file of more than 25 MB. Try this nice Google Chrome extension and share your views with us.